The revised version is stylistically and thematically closer to his later interests than the early one had been. Its writing is more complex, mannered, and metaphorical. It is thematically less timely and realistic, for its main concern is the private consciousness. In the 19o8 version, Isabel Archer’s inner life is the center of the character and of the novel’s reality. In the early version the inner life is only one aspect of character, which is defined by behavior in a social context. . . . The 1881 novel was one of an increasing number of works about “the woman question.” The heroine, an appealing young American, wants to live an independent and meaningful life; but she is thwarted. Unlike many works of the period on this theme, The Portrait did not depict Isabel’s desire as unnatural and misguidedly unfeminine, nor did it employ the standard formula of saving her from this delusion by love and marriage. On the contrary, the novel sympathized with her aim to the point of calling both love and marriage into question. . . . The changes of 1908, transforming the story into a drama of consciousness, overlaid and in places obliterated the coherence of the 1881 versions. Now, I admit I did not patiently follow all of Baym’s specific arguments about particular revisions, or work through the 80 (yes, 80) pages of them for myself — I’m trusting Baym’s overall claim, which suggests (though she doesn’t quite put it this way) that James’s revisions transformed The Portrait of a Lady from a Victorian novel to a modern(ist) one. It’s not that I actively disliked the novel I read, but the 1881 novel she describes is one that I would be eager to put in conversation with other novels I know about “the woman question,” most of which are not quite as formulaic as she suggests — Gissing’s The Odd Women, for instance (1893) certainly calls both love and marriage into question, and even much earlier novels from Anne Bronte’s The Tenant of Wildfell Hall through Middlemarch and Daniel Deronda offer little hope that marriage is a simple solution to women’s thwarted desires for meaningful lives. Reading the 1908 Portrait, though, I had found myself wondering where we were supposed to be looking for the causes of Isabel’s catastrophe — besides, of course, to Gilbert Osmond and Madame Merle. I think we are implicitly directed to Isabel’s social context by her overpowering sense of what is expected, of what convention demands. But given the greater freedom experienced — socially and emotionally — by so many of those around her, I think we have to conclude that it’s her own sense of duty, her own insistence on what she believes to be honor, that ultimately condemns her. There is something Eliot-like in this, to be sure: what is Dorothea’s obligation to Casaubon, after all, if not an expression of her strong sense of duty and her individual principles, which make betrayal of trust an abomination to her? But James’s attention to the external conditions of Isabel’s life is much less detailed and explicit, and he tells us next to nothing about its historical antecedents: Isabel’s moral dilemma seems much more abstract than any moral crisis Eliot confronts us with. Further, it is difficult (or was for me, anyway) to discern any principle which James thinks ought to guide Isabel: that inhibition about moving from is to ought (as I think Martha Nussbaum would agree) is characteristic of James, and for some that is part of his appeal, but for me it feels like a loss — or, more accurately, like an artful reticence, as all the emotional weight of the novel’s final chapters surely presses us to feel Isabel’s return to Osmond as a fatal error. Her horror at openly breaking a vow she has made is not supported by anything else in the novel — another way in which the novel’s moral operations differ from Eliot’s, as the true crises in her work usually turn on competing goods, not unmoored error. 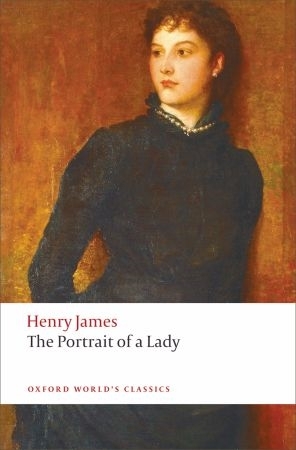 What renders [James’s method] distinct from, say, Thackeray’s method, with which it has been compared, or from George Eliot’s, is the limitation of the favorite generalizations and analyses. If the reader will attend, he will see that these take place quite exclusively within the boundaries of the story and characters. That is to say, when the people in the book stop acting or speaking, it is to give the novelist an opportunity, not to indulge in general reflections, having applications to all sorts and conditions of men, of whom his dramatis personae are but a part, — he has no desire to share humanity with them, — but to make acute reflections upon these particular people, and to explain more thoroughly than their words and acts can the motives which lie behind. . . .
[His work] is consistent, but the consistency is with itself. . . . This self-consistency is a separate thing from any consistency with the world of reality. . . . In Andersen’s quaint story of the Emperor’s New Clothes, a little child discovers the unreality of the gossamer dress, and his voice breaks in upon the illusion from the outer world. Something of the same separation from the story, of the same unconscious naturalness of feeling, prompts the criticism that, though these people walk, and sit, and talk, and behave, they are yet in an illusionary world of their own. I’m sure nice Mr. Scudder doesn’t mean that when you break the illusion, James’s work is exposed as naked pretension rather than art! Indeed, he’s quite admiring about what it’s like to be inside James’s world. I admire it too: the scene in which the Countess tells Isabel the truth is thrilling, for instance, both because of its psychological acuity and because we’ve waited so long for the dramatic irony to reach its climax, for the gap between our knowledge (and suspicions) and Isabel’s to close. The farewell with Ralph, too, has all the emotional intensity of Dorothea’s climactic visit to Rosamond at the end of Middlemarch, though its revelations and effects could hardly be more different. It may be that we feel moments like this — which are the closest the novel comes to dramatic action — particularly deeply because we have spent so long dissecting and analyzing: at last, there is blood. It is far too long, infinitely ponderous, and pulled out of all proportion by the elaboration of every detail; but there is scarcely a page in it that is not worked out with the utmost skill and refinement, or which the reader will pass over without leaving something to regret — that is, if he has leisure for the kind of reading which is delightful for its own sake in complete independence of its subject. . . . But nothing so elaborate ever could be real, and the dazzle sometimes fatigues, though the effect is one which cannot be contemplated without admiration. As she too was contemplating the 1881 version, that probably sets me straight about whether I did in fact read the wrong version: it would not have made a difference, or at any rate not much difference, if I hadn’t read the “more complex, mannered, and metaphorical” 1908 version. The difference is a matter of degree, not of kind. Where does that leave me? Stumped, as usual, I think, by James’s own point (again, in “The Art of Fiction”) that “there are all sorts of tastes,” and mine aren’t altogether Jamesian. Previous Article Happy New Year! and New Books! and New OLM! Very funny – I read the 1881 edition, and by the end thought that I had read the wrong one! Or I guess really thought that someday I ought to read the later one, too. I believe that Isabel’s decision at the end seems less ambiguous in the earlier version, although her motive still has to be an interpretation of the rest of the novel. It is still plenty ambiguous. I love the Oliphant review – “the kind of reading which is delightful for its own sake in complete independence of its subject” – hey, that’s my kind of reading.